This paper examines Dr. Kilsung Kim"s historical-Reformed position on the doctrine of the church. It mainly consists of three parts: the background and formation of his ecclesiology, its characteristics, and its ongoing and future impact and appropriation. A special attention is paid, first of all, to the Reformed theologians in the conservative theological camp who influenced Dr. Kim most significantly in constructing and deploying his theological foundation. Notably, theologians such as J. Gresham Machen, Charles Hodge, Herman Bavinck, Geerhardus Vos, John Murray, R. B. Kuiper, and Edmund P. Clowney are frequently mentioned along with the Genevan Reformer John Calvin. Louis Berkhof, regarded as the representative of Dutch Reformed theology in America, and Hyeongyong Park the renowned Korean conservative theologian, whose major books on systematic theology are thought to draw on Louis Berkhof"s Systematic Theology, should not be disregarded. The remaining sections are alloted for discussing the essence and origin, the attributes and notes, and the purity and unity of the church. 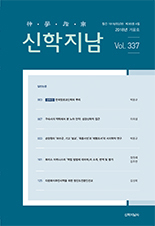 It should be noted that Dr. Kim intends to dynamically link the external marks and orders of the church with its inner essence and attributes and that in so doing he is careful not to detach the history of the church and its historical significance from its theological confession and polity. This shows why he mentions the doctrine of the church and its historical foundation and succession in the same breath consistently throughout his works. Here lies the essential or sui generis feature of Dr Kim"s ecclesiology.